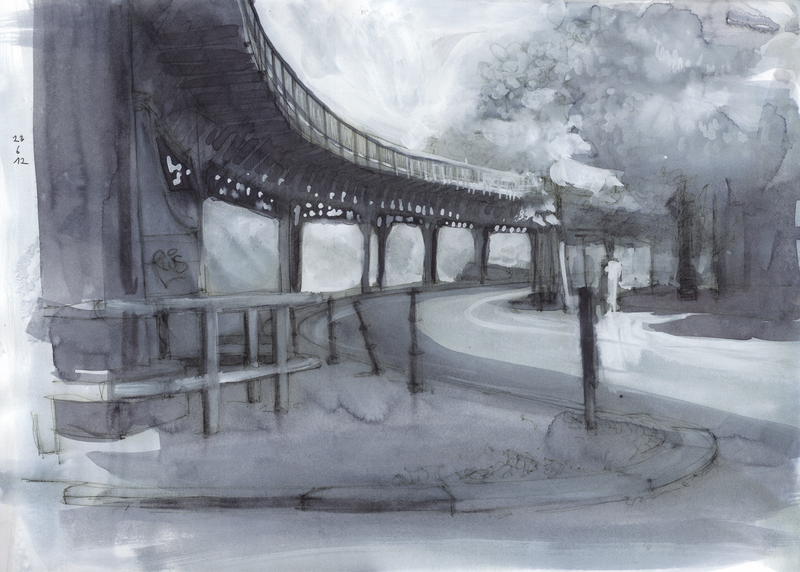 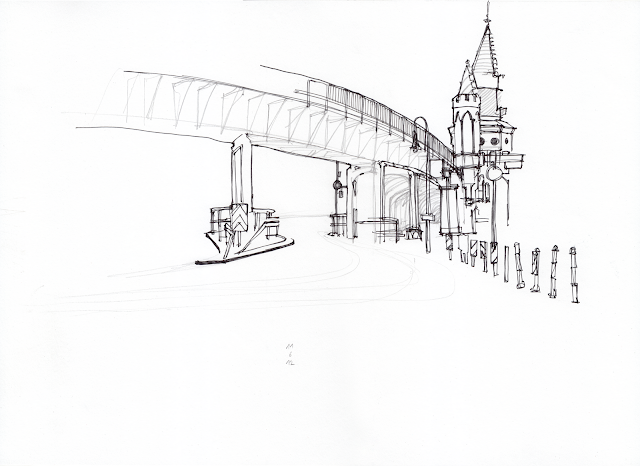 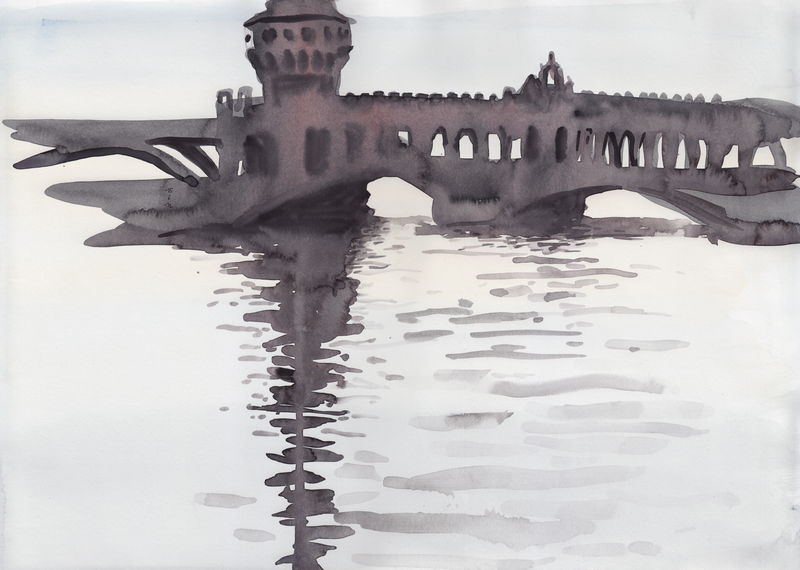 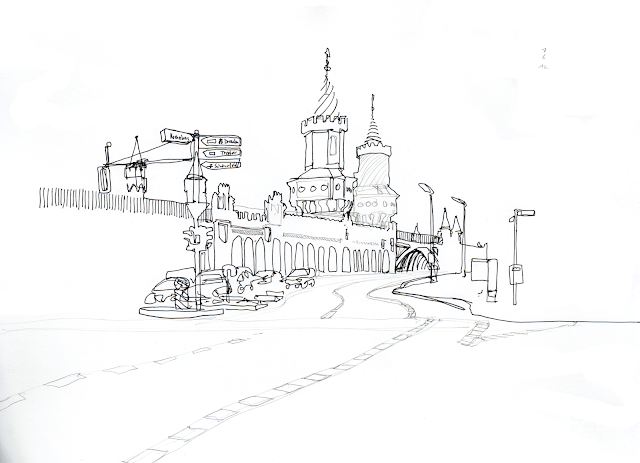 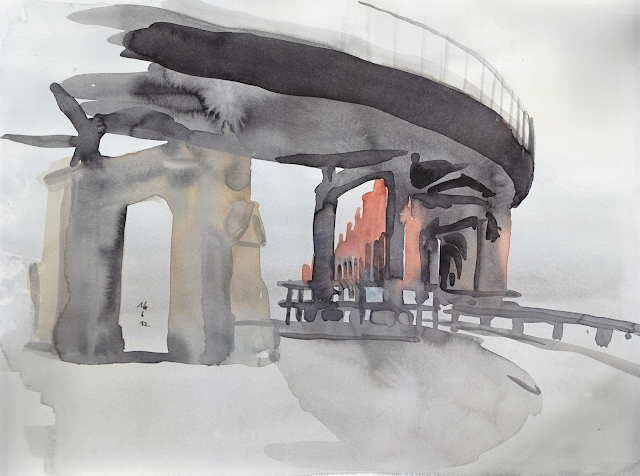 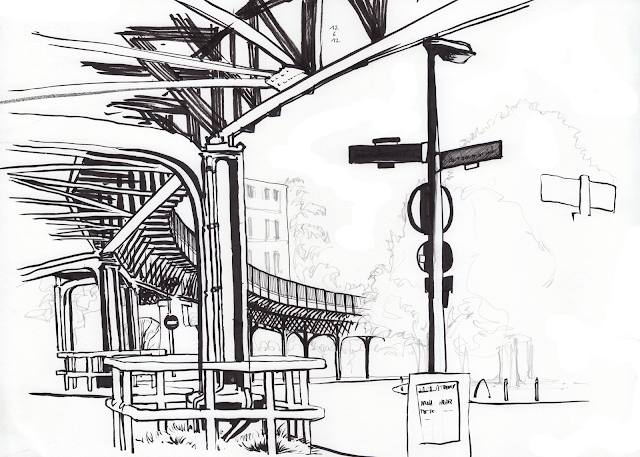 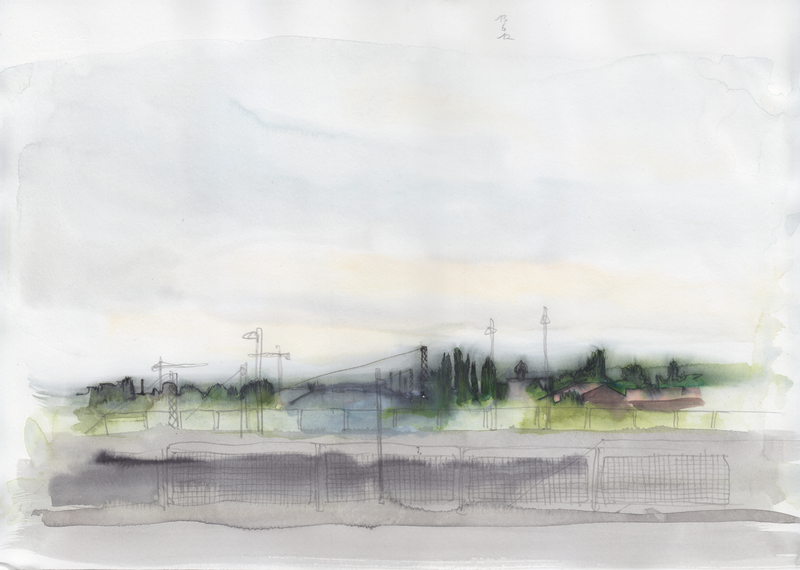 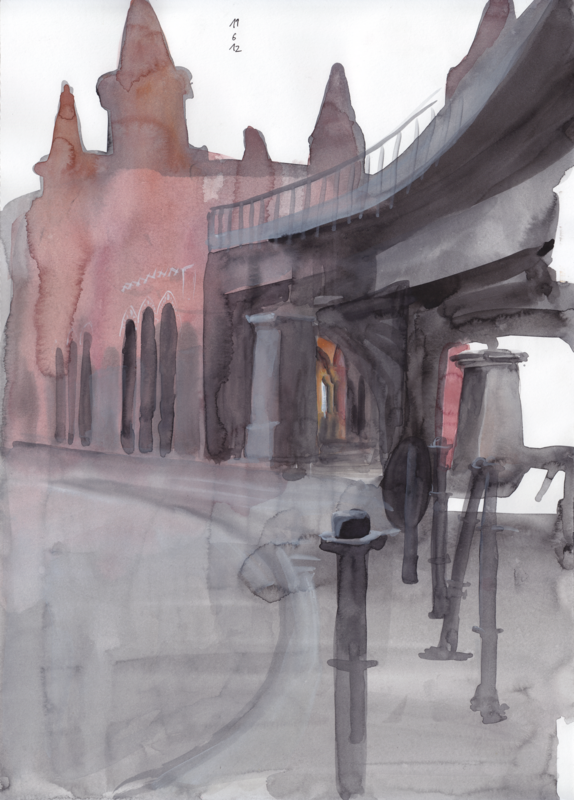 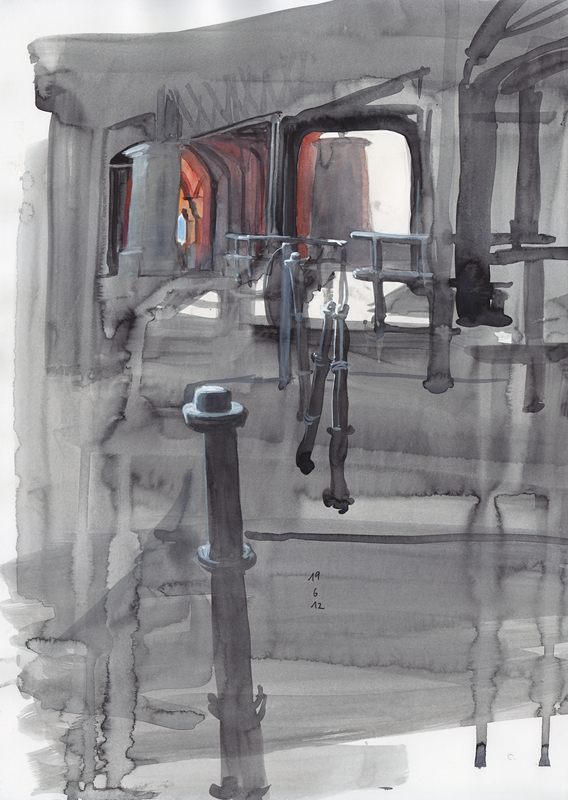 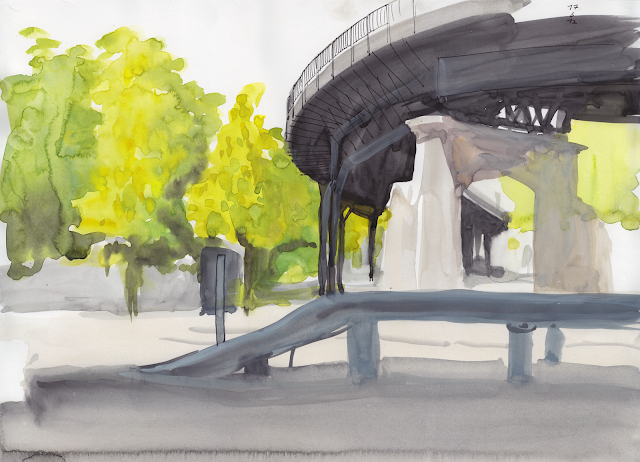 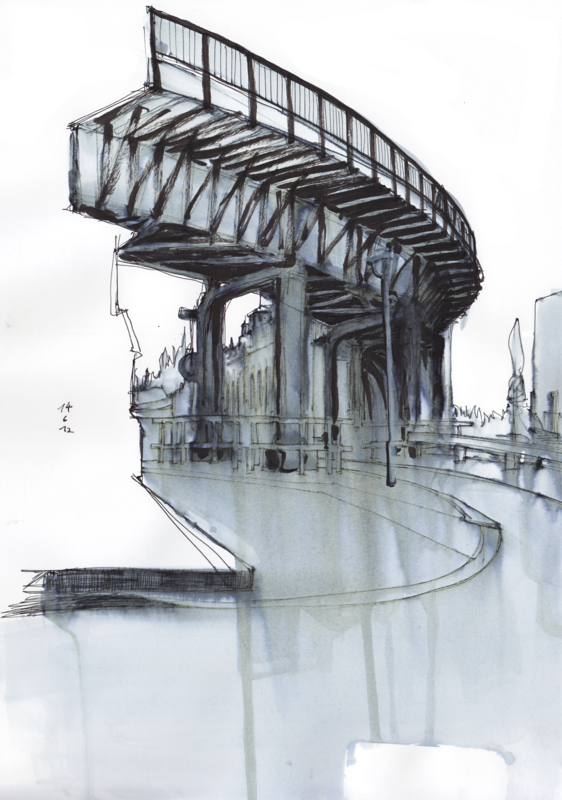 For a couple of weeks from may to July I went to Oberbaumbrücke nearly every morning to make one or two drawings. 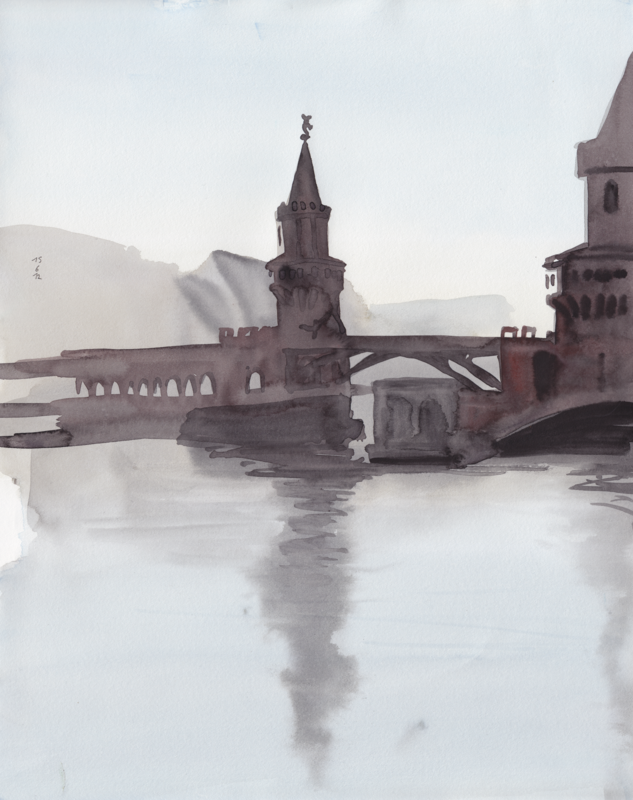 I posted some of them after about a month here. Here a pick from the rest. 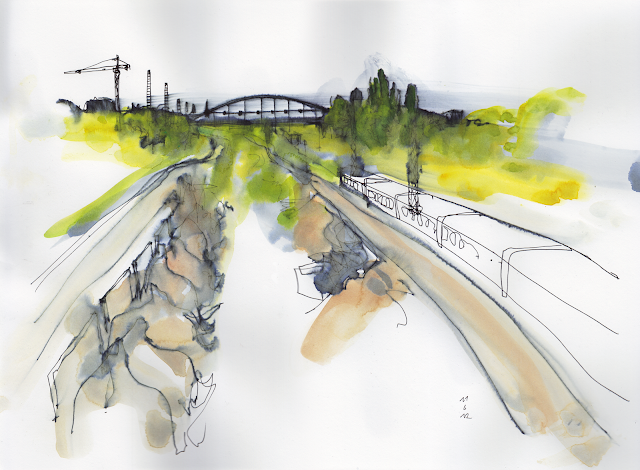 View from Warschauer Brücke towards Modersohnbrücke.